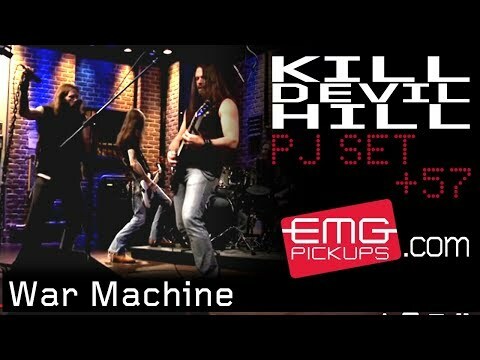 The EMG PJ Set provides bass players flexibility with a wide range of tonal combinations. 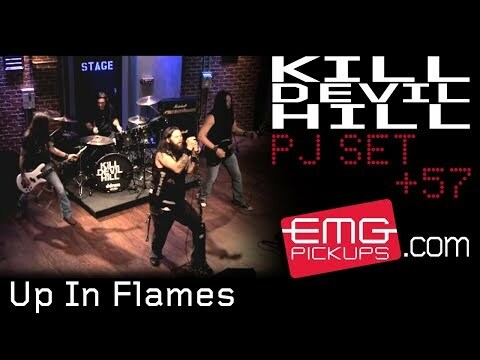 EMG's original P adds warmth, and incredible low end punch, while the LJ provides a tight mid-range with dynamic high end response for a well defined attack. Used separately or in combination, they offer endless bass tone options, accommodating contemporary and traditional playing styles. The result are low noise, dependable pickups with tones ranging from tight slap funk, rock, to smooth Motown grooves. With EMG's solderless wiring harness included, the PJ Set is easy to install at home. Had a set of these in a Daion Power XB since the mid eighties and they are still going strong. P Bass sounds without hiss hum or buzz - exactly as it should be. Takes slaps and pops in their stride without clipping. Excellent Tone - cuts through like a hot knife through butter! I have a neck through with mahagony/bubinga body and ebony fingerboard. The PJ Set sounds fantastic with this instrument. I have it paired with the BTC control and its extremely versatile. Cuts through a rock mix like a knife! I highly recommend these pickups for rock, jazz fusion, slap, and country tones. Completely silent. Very hi-fi sound. Excellent tonal flexibility, especially with preamp. As with all EMG pickups, the quality and construction is beyond compare. In the PJ set, you get the best of both worlds: the meaty, powerful P pickup in the neck position, and the growl of the LJ in the bridge position. Some might argue that the PJ set is not very different than the standard J set as far as tone, but they would be incorrect assuming that the P pickup is positioned in the traditional neck location, which is slight lower (closer to the bridge) than the jazz bass neck location. This positioning gives you great low end without sacrificing the punch that the P bass is known for (assuming you haven't rolled off the highs). Therefore, with the neck soloed, you can have a 100% authentic Precision bass sound. EMG has of course flipped tradition on its ear with their virtually noiseless, powerful active pickups. No parasite noise, to include shielding or ground issues at all. Yes, true P bass tone without the buzz or static. With the addition of the LJ pickup, you can get the cut and growl of a J bass. With the bridge pickup soloed, you can get the Jaco mwah. Overall, an amazing upgrade to any PJ style setup, especially when used with an EMG preamp. I have PJ sets in Fender, Warwick, and Spector basses, with and without preamps and love all of them. Highest recommendation! Building a bass starts with the choice of wood. After study, using different woods and sizes, I find some ground to think the pick-up(s) are the real devider(s). Every bass player finds his tone through (pre)amps, speakers and auxiliary electronics. This EWG PJ set (I love the Ivory-set) came quickly from production to my StudioGREEN home adress in Ghent, Belgium. Installation went without any pain. These EMG pick-ups give me all I wished for and much more. Deep and punch, warmth and definition. When it is to hold it's breath, it's realy silent. Just a very, very fine set for any bass, is it a new-build or a refurbished one.